It´s time to admit it: I may be living in a big city but I will always be a country girl; born in a cute little village in the middle of a German forest. And sometimes, not often, but sometimes, I exchange my Jeffrey Campbell heels for a pair of Hunter Boots with matching socks, ear muffs and a warm knit jumper. And me and my mom are especially passionate about all things British, as everyone knows the Brits are the masters of country couture. 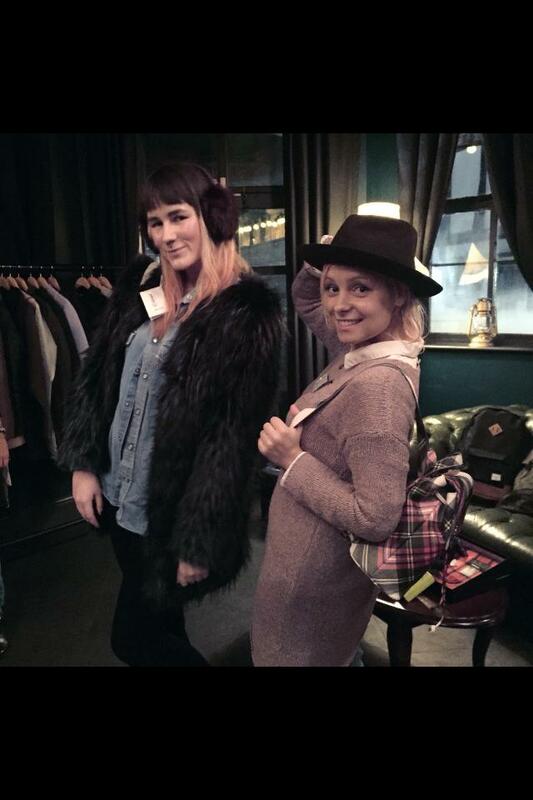 Obviously I was more than excited to attend the Country Attire Press event and to see what British heritage brands like Barbour, Hunter, my all time favourite; Vivienne Westwood and Ted Baker have to offer. Okay, I admit I wasn´t excited about Ted Baker at all but I´ve been proven wrong; utterly wrong. I mean did you see this incredible vintage style bag and the one with the unreal flower print?! Not to forget about my absolute favourite, the Ted Baker earmuffs (worn in the cute little insta photo with my lovely friend and interior blogger Don´t cramp my style) that I will soon call my own. Country Attire sells carefully selected brands that have a history. Some of them have accompanied us from our childhood days and will stay with us forever. Why? Because the items are timeless and of such a great quality that there is no reason to replace them. It´s things you can pass on to your children. I don´t know about you, but I love this online store and it is not the last time you have seen them on my blog! Ich bin ein Stadtkind, mit zunehmendem Alter entdecke ich aber die Freuden des Landlebens und vor allem der praktischen Klamotten. Wenn sie dann auch noch schick sind, um so besser! what fun items! those ear muffs are awesome! You are such a sweetie <3 :D loved this post! Sieht alles sehr hübsch aus! Hey, I just love all these details you shared here. These outfits look so adorable. I have also bought a beautiful fur coat that I wore in New Year Eve party. You know I attended the most popular NYE event at some destination San Francisco venues.